For today's RCW, let's look at something special. Special as in the Pontiac Bonneville Special. 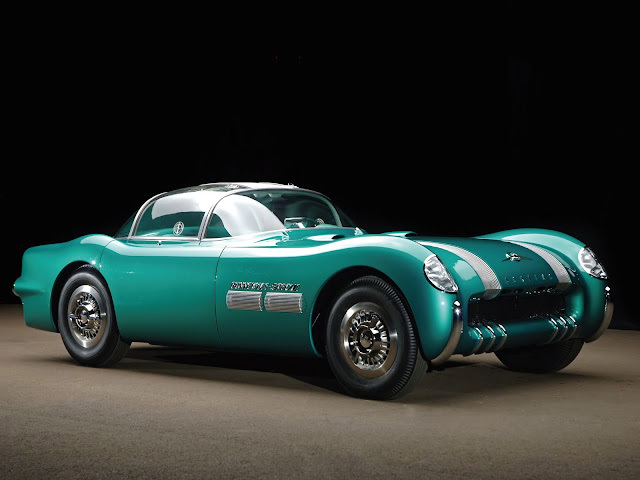 In 1954 Pontiac created this concept car, based loosely on the all-new Chevrolet Corvette, with the intention of unveiling it to the public in New York and Los Angeles. The designer, Harley Earl, was inspired by the high-speed racecars that were tested at the Bonneville Salt Flats in Utah. Key design features include two functional air scoops in the hood and a turbine-inspired spare tire cover between the rear fins, making the car appear to be jet-powered. Only two Bonneville Specials were ever made.